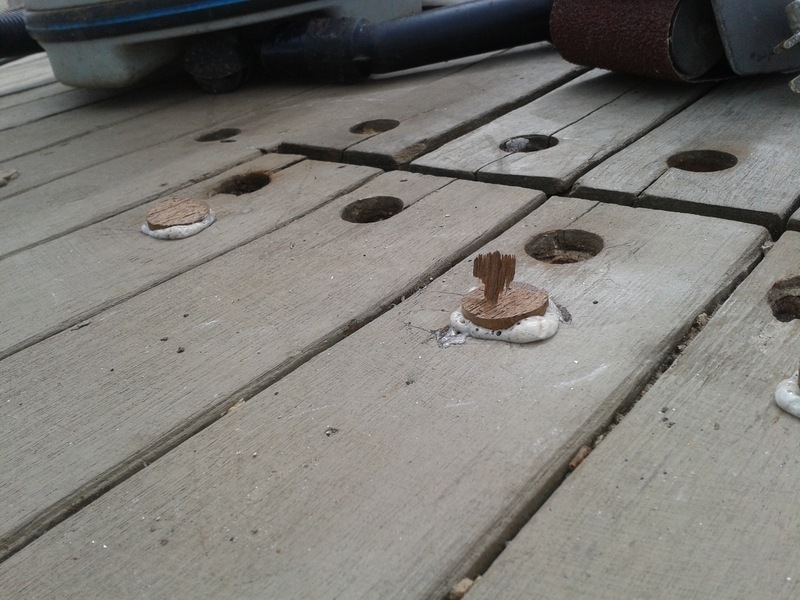 The biggest job on the decks is plugging the many many holes. These are from where various fixtures and fittings have been added and removed and have created a colander-type effect. Fortunately fixing them is quite neat. New plugs are cut with a special coreing tool and fitted into the gap. 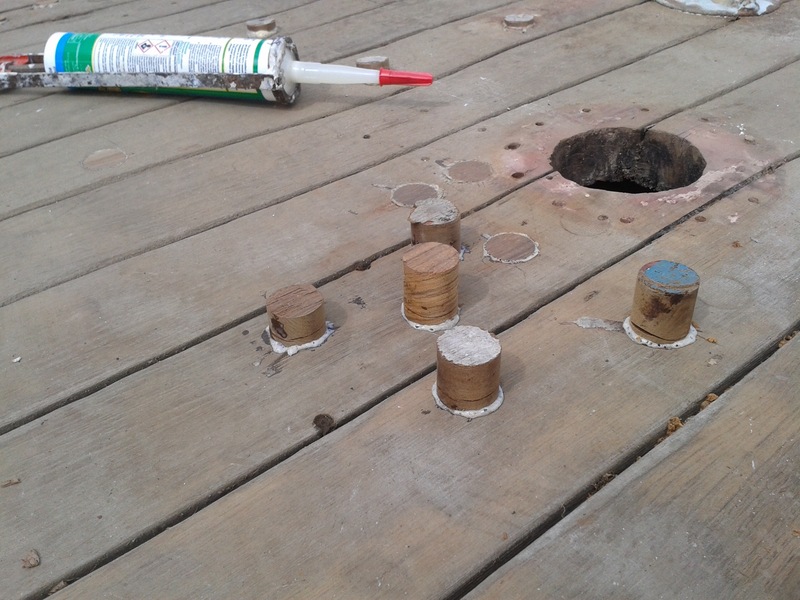 These are glued in place and then trimmed so they are flush with the rest of the deck. 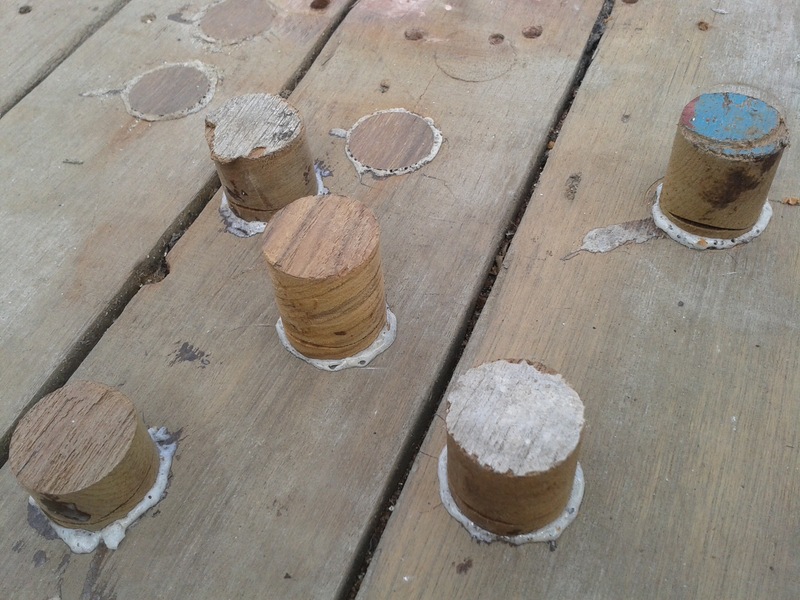 The same plugs are used to cover the bolts used to hold the deck down. This entry was posted in Uncategorized on September 5, 2015 by hellyboo.